Home / Techie-News / Google Postini – the final countdown but is Google Apps the best place to go? The end of Google Postini is nigh and the final countdown began at the stroke of midnight on New Year’s Eve. 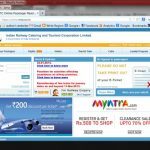 In fact it really began a little earlier, and any organisation that needed to renew their Postini account after 1st November 2012 would have no choice but to migrate to Google Apps or find an alternative solution. Effectively the plug will be pulled on Postini before the end of 2013. 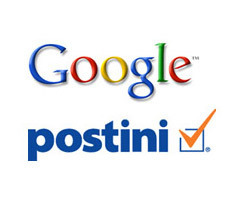 After Google bought Postini back in 2007 it has always been inevitable that Postini would one day meet its end. When in August 2012 Google announced its plans to shut down Postini, the company stated that they have been integrating the security and compliance features of Postini with Google Apps and would continue to do so. By the time the announcement was made, tools such as content filters, eDiscovery, archiving, retention and user policy management had been included in Google Apps, however the overall functionality was not yet as powerful as Postini. Essentially all Google Postini users will need to move to an alternative email security service, and although Google suggest that this should be Google Apps, not everyone is convinced that this is the best move. For previous Postini customers for whom the limited email filtering capabilities of Google Apps is not a problem and who are happy to accept it in return for other Google Apps features such as Google Docs and Gmail, then migrating from Postini to Google Apps is appropriate, but for other customers who need sophisticated email filtering there are better solutions available. In order to implement Postini migration to Google Apps, users need to reconfigure each mail box manually; a protracted process, especially when the result is reduced functionality and poorer security. Essentially the services that are affected are message security, discovery, encryption, and filtering. Furthermore, as part of the user agreement customers must sign up to the fact that Google retains the right to transfer and store data in any country that it wishes to. It is not surprising that many organisations are looking elsewhere for their cloud based email services.